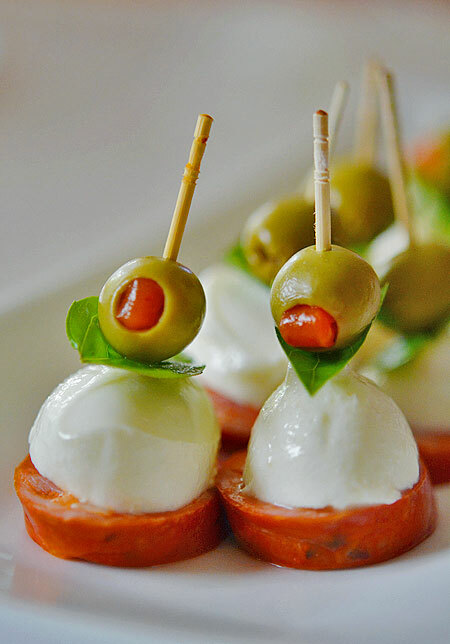 These antipasto skewers are so EASY, but the flavour combination is to die for! 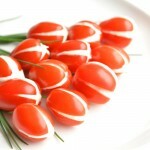 They go together in minutes and look beautiful lined up neatly on a serving platter. Appetizers have to be one of my absolute favourite things! I’m pretty sure I could live happily on a diet of tiny finger foods. 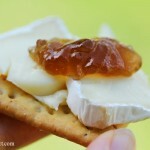 Mmmm… put this on a plate with some fancy cheese, and perhaps some artichoke dip, and it’s the most perfect lunch ever! All of the ingredients should be readily available in your grocery store deli section. 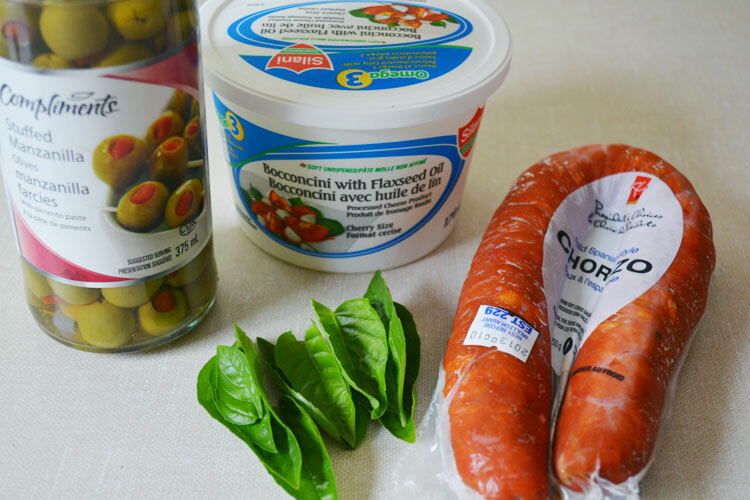 It might just take some searching if you’ve never bought bocconcini or chorizo before. 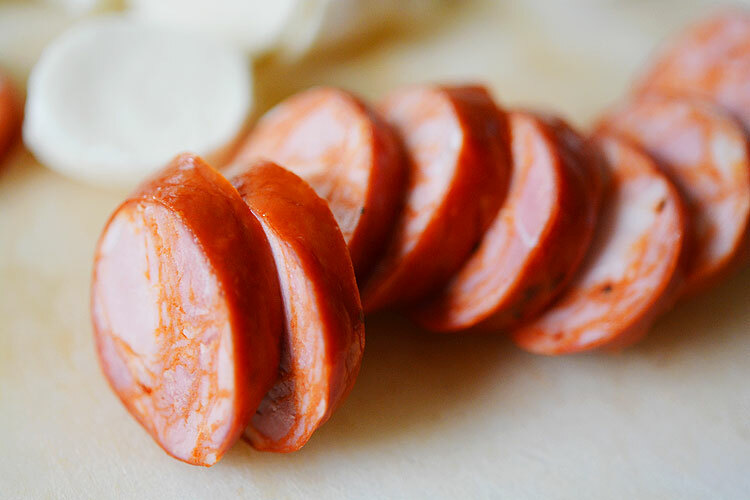 Slice the chorizo into ¼" to ½" slices. Chop the bocconcini balls in half. 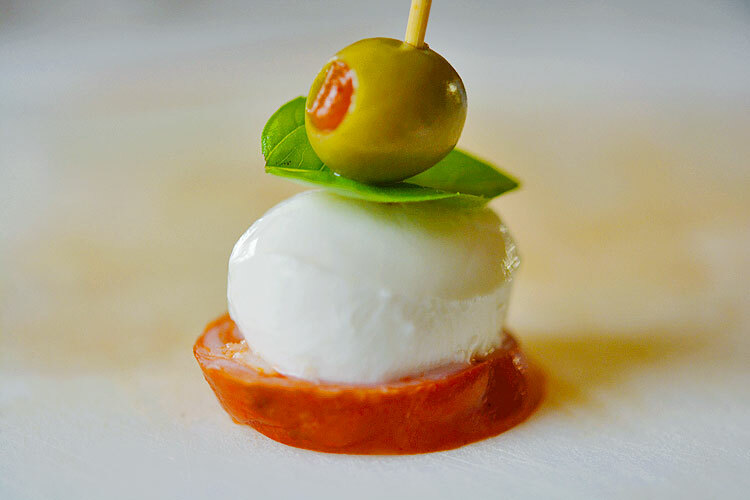 Skewer the chorizo, mozzarella, green olive, and a basil leaf onto a toothpick. Line up neatly on a platter, and serve! Chorizo is a type of sausage (which I didn’t realize until about a year ago… I had to Google it…). It’s typically hard and somewhat dry, not like the types of uncooked sausage you’d throw on the barbecue. The consistency is perfect for appetizers! Just make sure you buy the kind that is already pre-cooked. 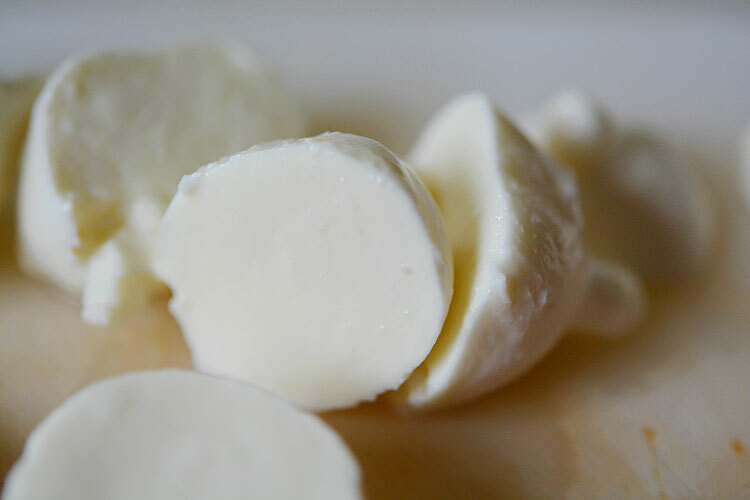 Bocconcini is a type of mozzarella cheese that comes in small balls, the size of large gumballs, or even the size of an egg. Try to get the smaller 1″ sized balls – sometimes it’s labelled on the package whether they are small, medium or large sized balls. It’s not the end of the world if you can’t tell what size they are. 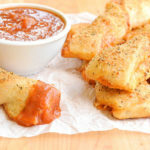 You’ll just want to make sure they are cut into manageable pieces so you aren’t getting a huge mouthful of mozzarella in each bite. I cut mine in half. You can use your favourite type of olives here. Fresh deli olives would be delicious! But since I planned to make quite a few of these, and deli olives can be pricey, I just went with jarred olives and they were delicious! The bigger the olive, the better! Someday I’ll figure out where to buy fancy toothpicks. You know those pretty ones with the fancy ends? I just used the plain toothpicks I use for cake-poking-doneness here. The flavour combination is DELICIOUS! 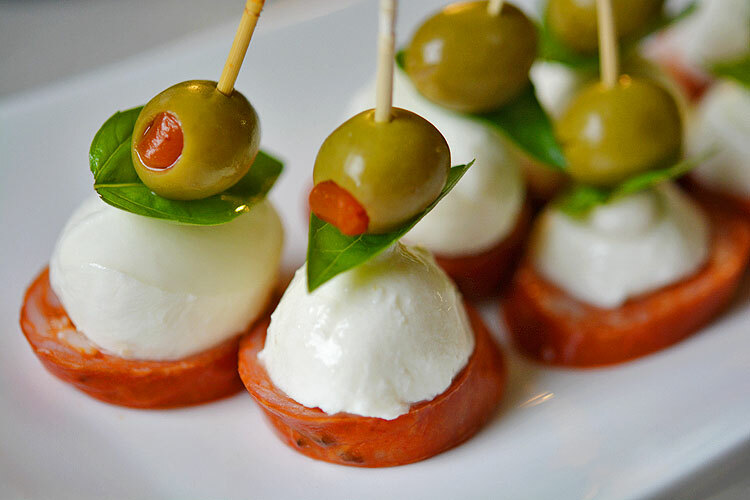 It’s such a simple appetizer, but it looks beautiful, and tastes amazing! 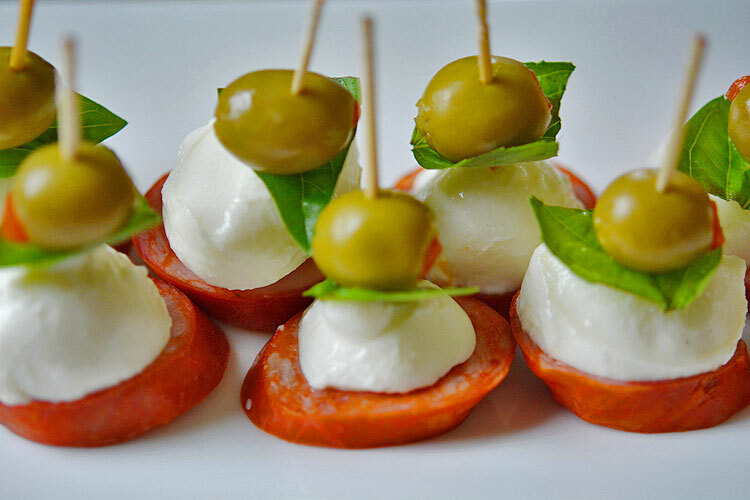 Save this recipe for the next time you need a super easy, but elegant appetizer. They go together really fast (depending on how many you have to make of course!) and they taste amazing. 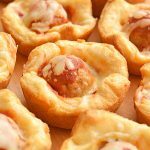 They’d go beautifully with a cheese tray and would make a perfect bite sized snack at a dinner party or barbecue. These look fabulous and look easy enough to throw together (but look totally fancy)! Hi Debbie – Quick and easy and delicious – sounds good to me! Thanks for linking up to Saturday Sparks. You have been featured today.